As the year wraps up, many of you might be planning exotic trips to Brussels, Paris, Stockholm, Lisbon, Paraguay, Beijing, or any major city in the United States where languages are as abundant as Uber and art museums. To prepare you for your journey, don’t waste money on Rosetta Stone. 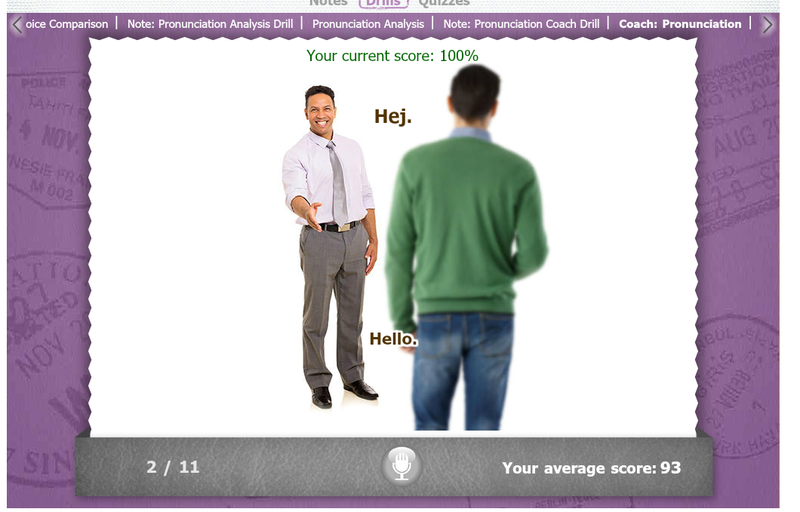 Use the Library’s online language learning tool, Pronunciator. 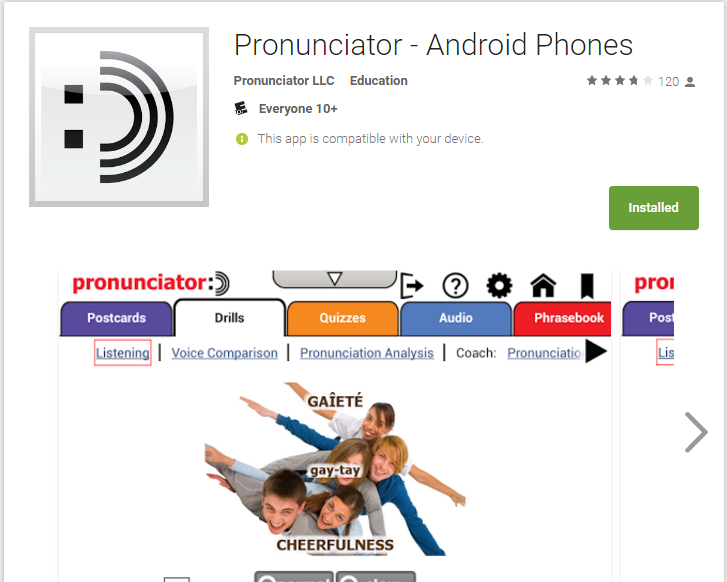 Pronunciator is available to all Arkansas Tech students, faculty, and staff. You will need to create your own account at first using your ATU email address. 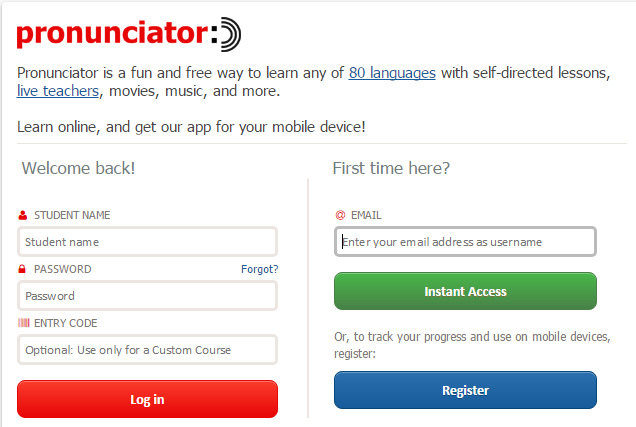 Once logged in, you have your choice between 80 non-English languages. If you are a non-native English speaker, the service also provides ESL courses for speakers of 51 non-English languages including Chinese, Arabic, Spanish, Japanese, Swedish and many more. Learn at your own pace, or, for targeted objectives, through guided courses. 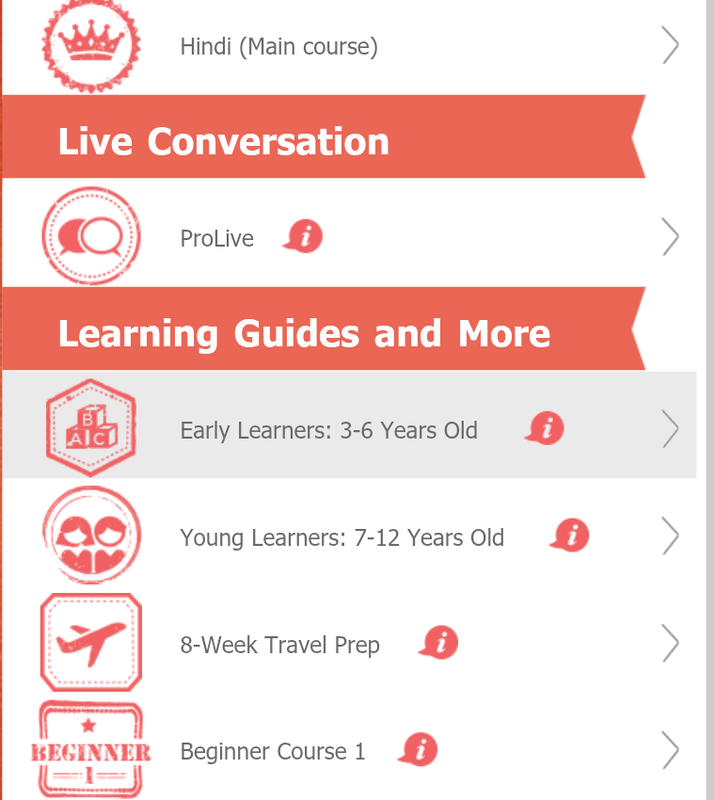 The guided courses range from early learners (3-6 years old), young learners (7-12 years old), 8-week travel prep, beginner courses, and even a healthcare course. 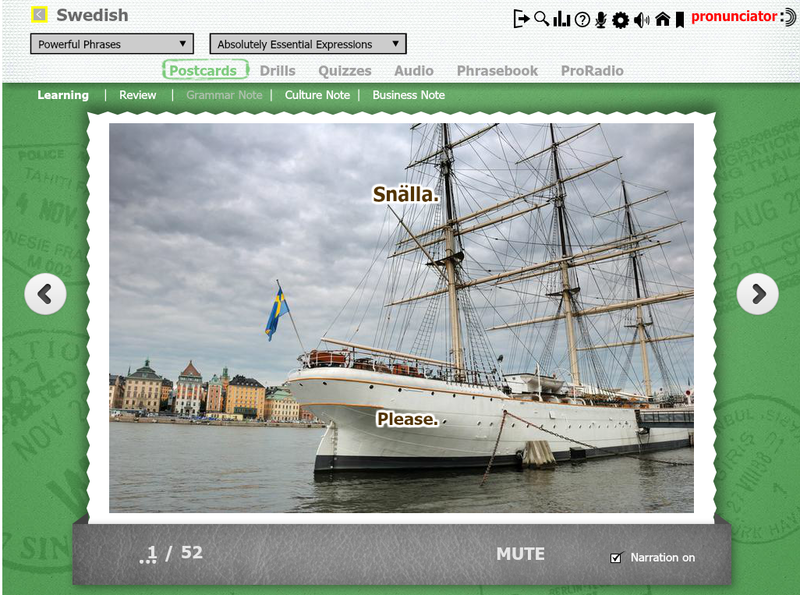 Choose the main guide to independently roam and explore the language through “postcards” where you can learn common expressions, cultural information, and more. During the early 16th Century idealistic German monk Martin Luther, disgusted by the materialism in the church, begins the dialogue that will lead to the Protestant Reformation. Filmed in Germany and the U.S., this film is entirely in English—no subtitles necessary. A woman brings her family back to her childhood home, which used to be an orphanage for handicapped children. Before long, her son starts to communicate with an invisible new friend. This thriller was filmed in Spain and includes English subtitles. After a boy loses his sister’s pair of shoes, he goes on a series of adventures in order to find them. When he can’t, he tries a new way to “win” a new pair. Director Majid Majidi focuses on the details of everyday life to touch on universal themes of family, empathy, friendship, sibling loyalty, and childhood joy. This film was originally filmed in Iran, and was the first Iranian film nominated for an Academy Award for Best Foreign Language Film. In Persian with English subtitles. A collection of eight short tales based upon the actual dreams of legendary Japanese director Akira Kurosawa. Elements of the film include surrealistic images and stories about nuclear disasters, World War II, childhood memories, and demon-filled nightmares. Watch for a younger Martin Scorsese portraying Vincent Van Gogh with George Lucas providing some of the visual effects. In Japanese with English subtitles. Get your dose of Bollywood in this comedy about a quiet, sweet tempered housewife who endures small slights from her well-educated husband and daughter every day because of her inability to speak and understand English. Featuring popular Indian actress Sridevi, this film marks her successful comeback to the world of Bollywood film. 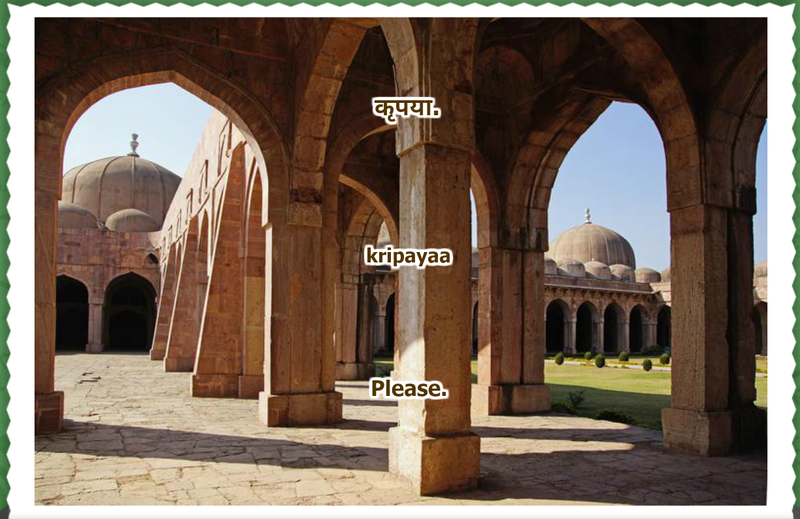 In English and Hindi, with English subtitles. A young Mexican boy travels to the U.S. to find his mother after his grandmother passes away, while his mother makes the same desperate attempt to reunite. This heart-warming adventure story shows how love can break through any border and any wall. Nominated for an Image Award in 2009. In Spanish with English subtitles. Tragedy strikes a married couple on vacation in the Moroccan desert, touching off an interlocking story involving four different families. Starring Cate Blanchett, Brad Pitt, Gael García Bernal & Elle Fanning, this drama features voices speaking in languages from all over the world–English, Japanese, Spanish, French, Russian, Berber, Arabic, and even Japanese sign language. It won the Golden Globe for Best Motion Picture, and received seven Academy Award nominations including Best Picture, Best Director, and two for Best Supporting Actress. It also won the Academy Award for Best Original Score. 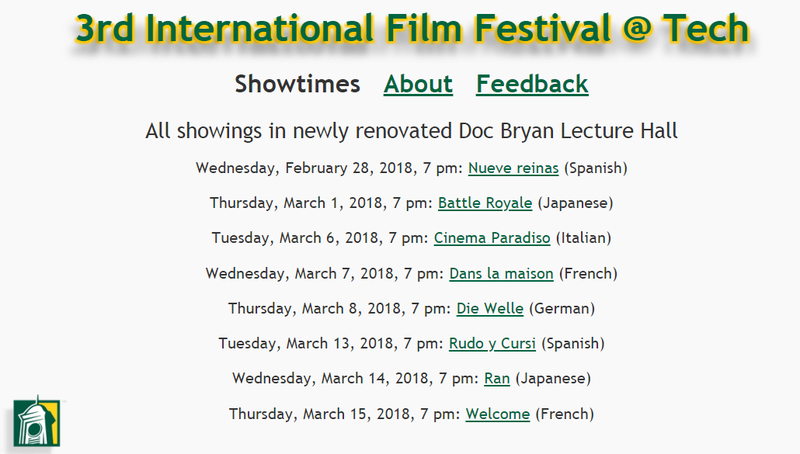 Remember, every film starts at 7:00 P.M. at the Ross Pendergraft Library, room 300 North. While you cannot bring food, drinks are welcome with a lid. In the meantime, we’ll see you at the movies! If you are new to campus, it’s quite possible you haven’t had the chance to visit the Ross Pendergraft Library and Technology Center. Here are 8 library facts you should know to help you make the most of the collections and services we offer at the Library. Looking for books? Sure, we’ve got books. But did you also know we check out graphing calculators? DVDs? Audiobooks? Headphones? CDs? Scanners? Yes, we have all of those, too. Search our catalog to find all of this and more. If you just need a quiet place to study, print your paper, or book a study room, we offer that, too. There are so many resource at the Library, it can be overwhelming to find the right resource for your topic. Where do you start? 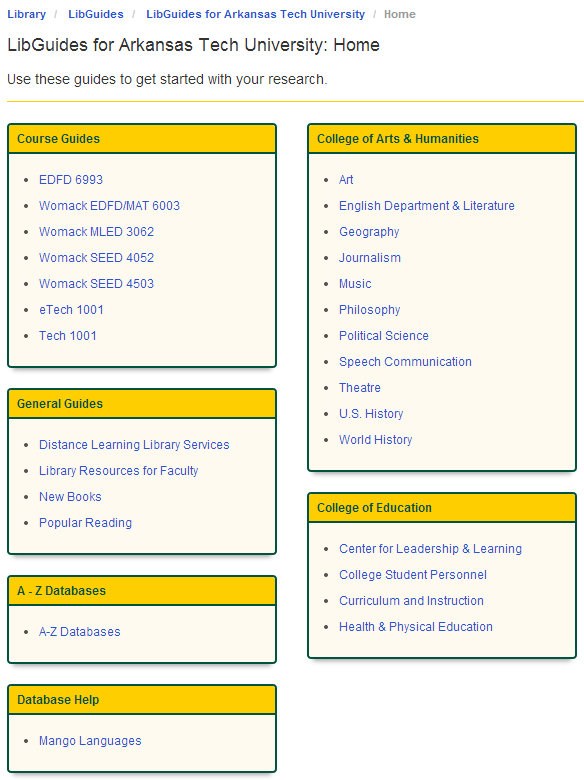 LibGuides can give you direction for finding books, articles, and search strategies for whatever assignment is thrown at you. Compiled by librarians, each guide is tailored for a specific subject, and in some cases, a specific course. Whether you want to brush up on your Spanish or learn Microsoft Excel, the Library can help you further your education from the comfort of your own dorm room. Mango Languages feature online tutorials for learning 63 languages, including Japanese, English as a second language, and Pirate. If you are more interested in learning software, create an account with the Virtual Training Center (VTC). As a student (or faculty/staff), you have free access to over 98,000 video tutorials on programming, databases, web design, or basic computer courses through the VTC. For help using library resources, check out our own Library Tutorials page, featuring videos on using Dewey Decimal, online library resources, interlibrary loan, and other services. Think of Wikipedia. Now imagine if it was a reputable, scholarly resource which could connect you to articles, books, and other academic resources about your specific topic. That’s Credo Reference. Comprised of hundreds of encyclopedias and dictionaries, it can mean one-stop shopping for many research assignments. We love it so much, we put it on our homepage. 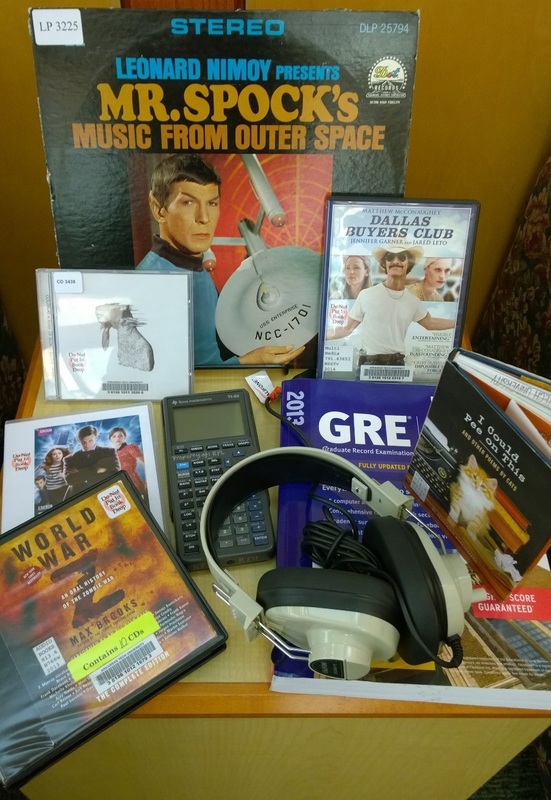 The Library continues to add new books, DVDs, and other materials as the semester progresses. You can keep up new items by clicking the Open Your Mind logo on the top right corner of our homepage. That will take you to a list of recently purchased books, movies, and music. If you are in the library and would like to browse just the new books, we also have a new books section in the lobby, near the south entrance. We have a new way to navigate every library resource we offer—the Library A-Z page. 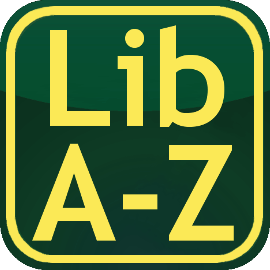 The Library A-Z list provides direct links to library maps, electronic tools, policies, collections, contact information, and anything else that we can provide through our website. Despite their godlike powers, the librarians at RPL are highly approachable, friendly, and helpful. No question is too mundane or too complex for them to lend their expertise and attention. 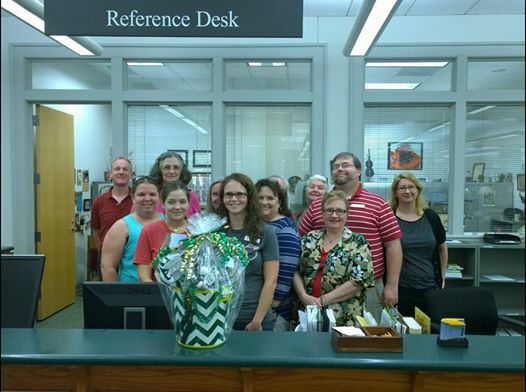 Give them a call (toll-free) at 855-761-0006 or email them at askalibrarian@atu.edu. Drop by the Reference Desk for on the spot questions. Remember, you cannot yet contact them through intense mental concentration, but keep checking our website for additional services we may provide in the future. Filed Under: Library Tagged: CREDO Reference, Foreign Languages, General, LibGuides, Library Collection, NEW! September 19th is National Talk Like A Pirate Day, and to celebrate, we’re highlighting our new language learning tool Mango Languages to help you brush up on your Pirate speech. Mango features five chapters on Pirate, including cultural notes, Pirate grammar, and conversational Pirate–as spoken (presumably) by real pirates. First time users to Mango Languages will have to create a login username and password to use the system, as well as to save progress through the courses. After that, it’s smooth sailing. Mango Languages offer 60 other language course in addition to Pirate such as Spanish, French, Latin, Chinese, and Arabic. 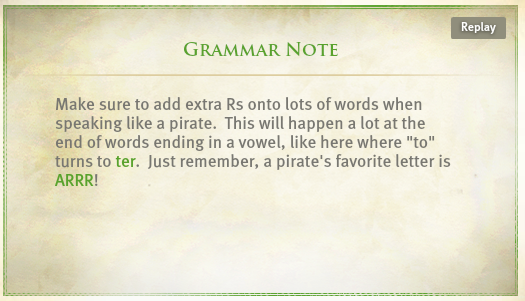 So once you become fluent in Pirate, you can try your hand at other languages. For more Pirate-culture materials, check with the land-lubber librarians over at the Reference desk or send a message via parrot or email to askalibrarian@atu.edu.